That is part of the Bible verse this day in Psalm. Do we ever stop for a moment and really thing about it? I know I beat up on myself on pretty much a daily basis. Today, for instance, I hated my body. I hated that I am struggling to lose these pounds. I was upset I got overworked the night before about the wedding. But then I was equally stressing out about my future life, where I feel I really do need to be Wonder Woman sometimes. How are we going to afford this? I need to have kids by the time I am 30, or my eggs will dry up. I NEED to get married/”start” my life. I need to be fit, hungry (not literally), invincible. All of these are TOTALLY unrealistic. 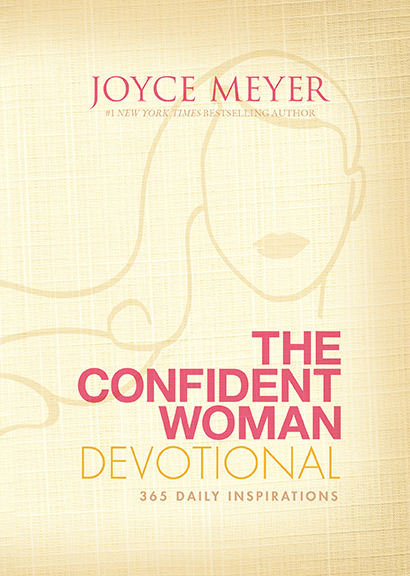 “Women need to experience a revival of knowing their infinite worth and value.” That is a GREAT quote by Joyce Meyer. How do we experience this revival, let go of past feelings and feel great for once? Through God. By God. With God. Sometimes we need to walk by faith. That is what day 18 speaks about. God has a plan for us, a great plan. We need to take that first — or many — steps, not thinking of the “what ifs.” When we take that first step, we prove to God we trust him and he is leading us on the right path. But how do you know it is God? I have heard that sometimes God answers prayers in mysterious ways. How do we know the difference? That has always been a tricky area for me. Day 19 covers stepping outside the box and maybe making mistakes from time to time. Joyce makes a point that God knows we are human, he knows our capabilities and that we are trying. If we feel like something is right and could be part of his plan, then we should try it. If we screw up, God will be there to hold our hand. And finally, Day 21 talks about forgetting the guilt associated with our sins. Joyce said when we repent for our sins, and God forgives us, he also takes away that guilt. HOWEVER, we need to release it and many, many people do not. I know I feel guilty for a long time, even over minor things that are not my fault. I need to let go of the guilt, once and for all. I am unique. I am not like anyone else, and according to science, there is a slim chance that anyone can be exactly me. These sayings are all well and good, but how can they serve me? We as humans tend to compare ourselves to each other, but according to Joyce, that will not affect my value. If I can do something you can’t, it doesn’t increase my value; nor does you being able to do something that I can’t decrease my value. And because we are unique, we shouldn’t just try to get by. We should try to be extraordinary. That doesn’t mean working our fingers until they bleed or until we are exhausted every night. However, we should follow our desires, dreams and push ourselves past our reasonable limits to accomplish greatness. And by asking God for help and guidance, we are one step ahead of meeting our goals.